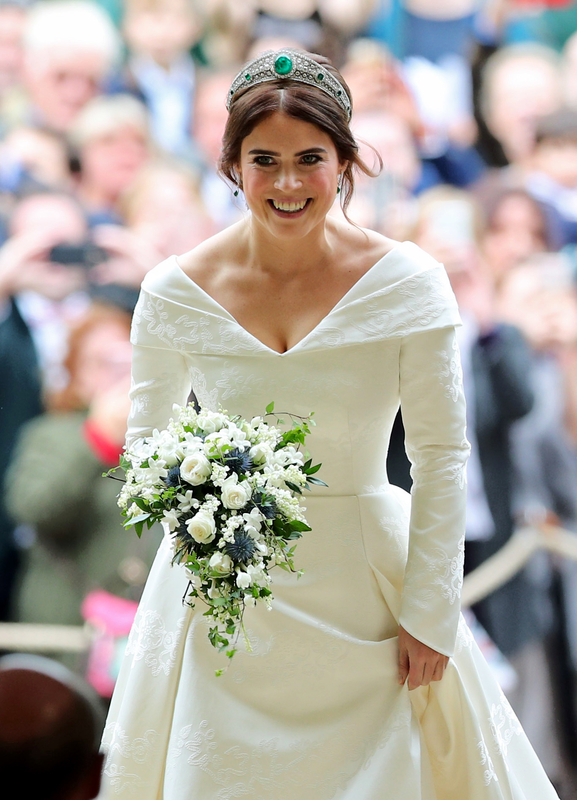 London (16 October, 2018) - Princess Eugenie wore a platinum tiara for her walk down the aisle at St. George’s Chapel to marry Jack Brooksbank on 12th October. According to the official web site of the British Royal Family, the Greville Emerald Kokoshnik Tiara, was lent to Princess Eugenie by Her Majesty The Queen. The tiara was made by Boucheron for Mrs. Greville in 1919 in the fashionable ‘kokoshnik’ style popularized in the Russian Imperial Court. The tiara is crafted of brilliant and rose cut diamonds pavé set in platinum, with six emeralds on either side. The tiara was bequeathed by Mrs. Greville to Queen Elizabeth in 1942. Additional members of the British Royal Family have selected platinum for their wedding jewelry, including Kate Middleton’s tiara, Meghan Markle’s tiara, and Prince Harry’s wedding ring. Since platinum is naturally white, it truly enhances the brilliance of diamonds and colored gemstones, and is also widely known as the most secure setting.